In 2012, 29.1 million Americans (9.3% of the population) had diabetes. 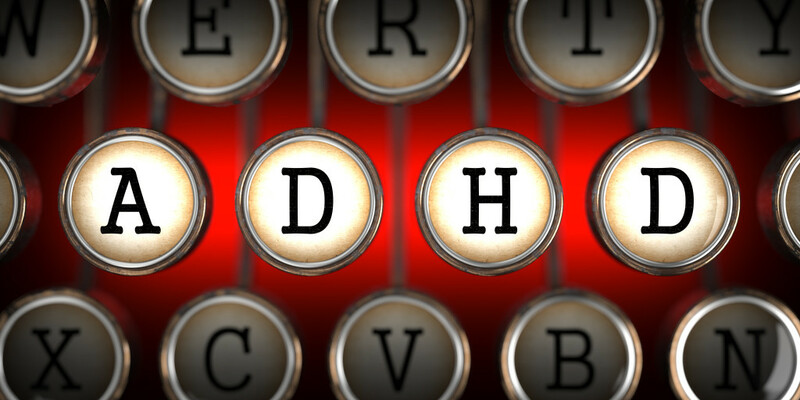 Diabetes is a chronic illness that redefines how those diagnosed live. Diabetics make careful decisions about what and when to eat. A common myth with diabetes is that those diagnosed have to follow a special diet tailored to their needs. This isn’t true, diabetics, like everyone else need healthy balanced diets. And, as recent studies would suggest, eating probiotics can help those with diabetes manage the disease. 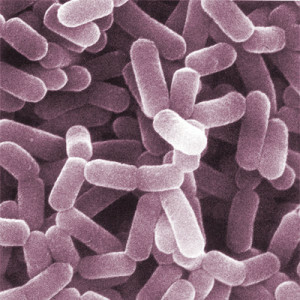 Using probiotics to bring balance back to the micro flora in the intestine may help to treat or even prevent diabetes. Also called juvenile diabetes, type 1 is most commonly associated with children and young adults. Type 1 diabetes is caused by genetics and some unknown factors that trigger the onset of the disease. Having type 1 diabetes means the pancreas is no longer capable of producing insulin. Those with type 1 have to monitor their daily blood glucose levels and administer insulin throughout the day as needed. A 2011 study from the University of Florida found regular consumption of probiotics prevented on delayed the onset of type 1 diabetes. The study claimed supporting your gut flora with probiotics could help fight off autoimmune diseases such as type 1 diabetes, but more research would need to confirm the claim. For now, we know that probiotics improves digestive health. Also known as hyperglycemia, type 2 diabetes is when the blood glucose rises to higher than normal levels. This is the most common form of diabetes. Type 2 diabetes may not require insulin or oral medication at first, but gets worse over time. 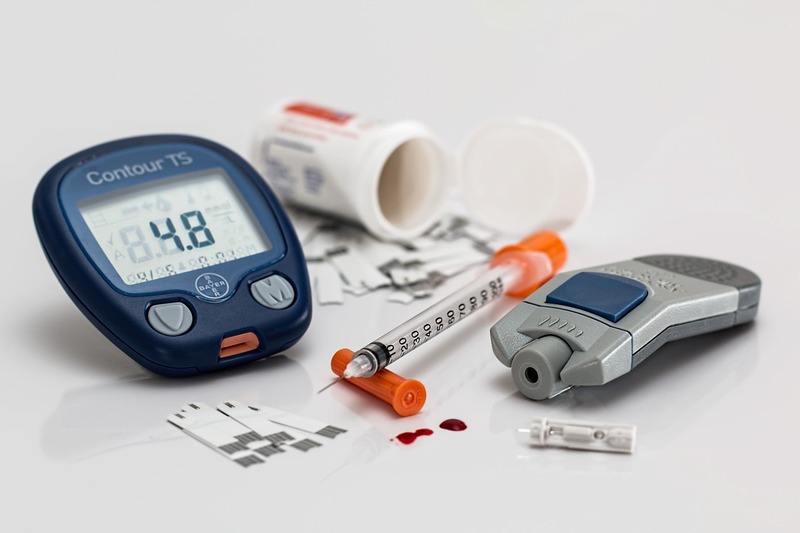 Many people assume that poor diet and being overweight causes type 2 diabetes. But this isn’t true. Yes, diet and weight may be lifestyle factors that increase risks, but a variety of environmental and genetic factors cause diabetes. Of course with type 2 diabetes it is important to lead an active and healthy lifestyle. Research proves one of the ways to manage type 2 diabetes is probiotics. By using probiotics, those with type 2 diabetes bring back balance to gut bacteria positively shifting blood sugar levels. These more balanced bacteria also reduced inflammation in some patients, and blood pressure. Eating probiotics may help manage diabetes but it is important to keep a few things in mind before starting probiotics as part of your treatment strategy. Look for probiotics or probiotic foods that have ‘live and active cultures’. Avoid any product that claims to cure a disease. 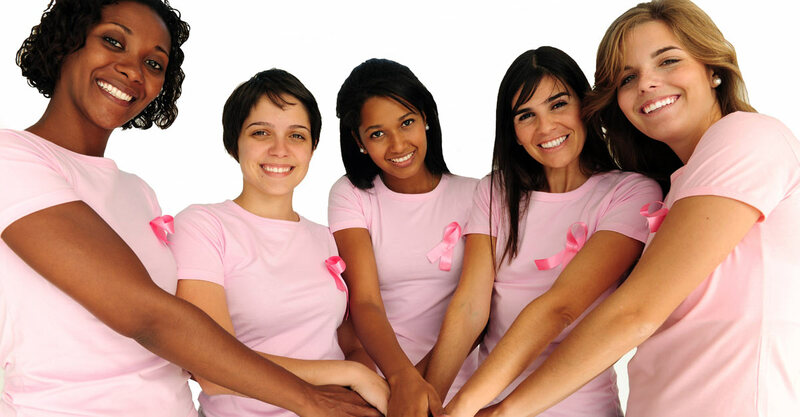 Speak with your doctor about your personal benefits and risks. That little tingle on your chin is about to blow up into a dime-sized, cherry-red bump. You’re about to lose it! We’ve all been there. Cleaning, moisturizing, and medicating are all easy-to-follow steps, but sometimes the outside forces can’t beat forces within. Whether it be your hormones or your gut, research indicates that skin is a representation of what’s going on inside your body. 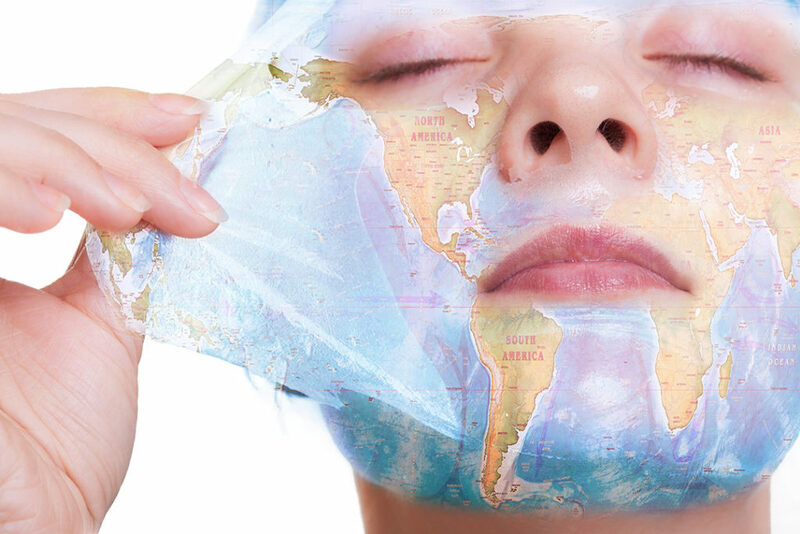 Face mapping, or connecting the location of your face acne to the the organ that needs support, is a great way to prevent breakouts. So let’s get down to the different types of acne and how to treat it! Face mapping experts say that acne on the forehead indicates something going on with the digestive system or simple dehydration. The best way to treat this type of acne is to drink plenty of water, stay away from caffeine, and fix that digestive system! Either by increasing your fiber or beginning a probiotic supplement. 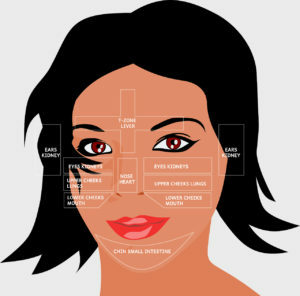 The T-zone stretches from your eyebrows all the way down your nose and to your chin. This acne can be caused by a plethora of things, but mostly sebum, or the excess wax substance that clogs pores. Sebum is formed when your face has too much bacteria on it. And for the record, NO, washing your face more does not help this issue. On the contrary, over washing causes dryness, causing more acne. If your skin is oily, wash it and then lightly moisturize. If that doesn’t seem to help, and harsh chemicals are just causing too much damage, a topical probiotic may be the way to go. This will help stabilize the bacteria on your face and has been shown to reduce sebum, and therefore reduce acne! Now this one is a little crazy, but acne on the cheeks is typically caused by one of two things: digestive problems or mouth issues. MOUTH ISSUES?? Like, what? It turns out that people who tend to…erm… skip brushing their teeth experience increased acne on the cheeks. But that’s not all! Over-brushing your teeth or using too much mouth product can actually cause an imbalance in the bacteria of your mouth. This imbalance can cause acne on your cheeks. C-R-A-Z-Y. Your mouth’s microbiome can be balanced by not brushing your teeth too much or too little, and sticking to a probiotics regiment. Mixing probiotics with your mouth wash or dipping your tooth brush in probiotics can prevent cheek acne. Now that’s something to smile about. Starting to see the connection? Your outsides are closely related to your insides. Taking care of your insides with healthy habits and supplements like probiotics will give you the healthy skin you’re after. If you struggle with acne, use face mapping to find your problem spot and get to work on the better balance in your microbiome. Your body, inside and out, will thank you. You know the feeling. You finally finish your lifting set for the day; your muscles are tired from the strain. You rush home to your blender and mix up a delicious protein shake; you take that first sip and it’s as if you can feel the protein trickling over your muscles, repairing and strengthening them. But then you flex in the mirror: disappointment. You’re doing everything right; you eat clean, train dirty, and always replenish. So what’s the hold-up? The answer may be much more than skin (or muscle) deep. Most people have a very low tolerance for protein, meaning they cannot absorb too much at once. In fact, over-eating protein can actually lead to weight gain, even if one is participating in vigorous activity; yet, most people suffer from a protein deficiency, especially when exercising, so what’s a gym rat to do? It’s pretty simple, really…. take probiotic supplements. Probiotics are a type of good bacteria that assist the body with balancing out immunity, digestion, and overall mental and physical health. Recently, researchers have suggested that probiotics also assist with building muscle and losing fat– but how? Let’s take a look! Immunity: Vitamin C has nothing on the P’s! Probiotics help attack bad bacteria in your microbiome and intestines, keeping your body clean, healthy, and ready to tackle the gym! Probiotics and poo: Whether you take them through supplements or naturally, good bacteria helps clean you out. Yes, it’s not exactly table-talk, but it is proven that regular intake of these friendly little bacteria can help with the regular output of… well, you know. Powering up and down: Certain strands of probiotics have been correlated with faster/better “absorption of protein” says Muscle and Performance. Along with that, it has also been connected with helping people wind down and relax, since it raises both endorphin and immunity levels. Whether you’re just starting out on the elliptical, or you’re an experienced gym-fanatic, probiotics can help take your work outs and recovery to the next level! So give them a try, and maybe you can put the “pro” in protein and probiotics! 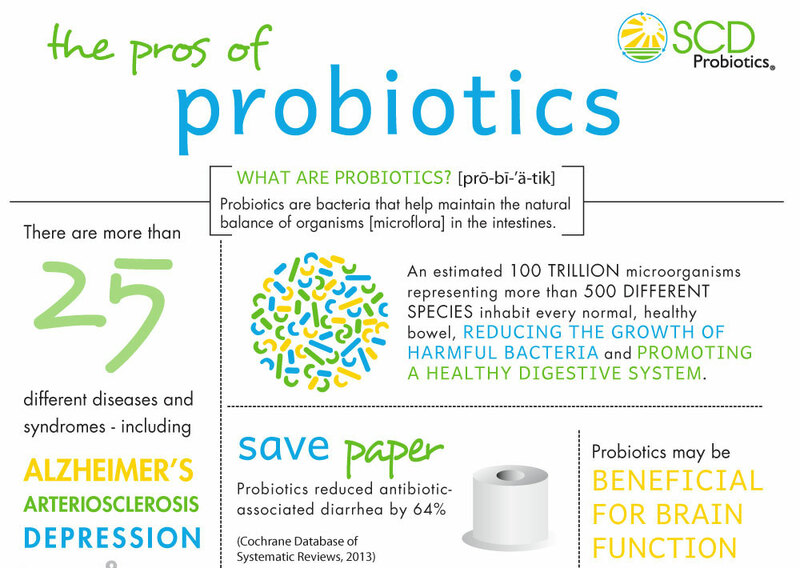 The Probiotic: To Microbiome and Beyond! We’ve all seen her on TV. The blonde running a marathon with two of her friends, somehow working through her lack of breath to discuss the importance of taking a probiotic for digestive health. The other two friends always look so surprised by her news. Who gets surprised by a probiotic? There are so many different uses for probiotics; our body functions on good bacteria, so supplying our body and surroundings with adequate doses can seriously increase our health, mood, and more! So what else can these magic little bacteria do for us? Probiotics are the safest bet for keeping your house clean and fresh; harsh chemicals in bleach and other cleaners can disrupt the natural flow of things in your home, and can also cause some serious problems if it comes in contact with your kids or pets. And let’s not forget the horrid smell of a freshly bleached bathroom– yuck! Probiotics use good germs to eliminate the bad, leaving your house germ and smell free. As stated in our previous post about acne, probiotics are a great solution for a not-so-great complexion; bad bacteria (or an imbalance of the good) on our faces can cause blemishes, so the best solution would be to wash, cleanse, and moisturize our faces and bodies with probiotics in order to restore balance to our skin! That’s right- probiotics are also good for growing plants! But before you go and dump your SCD Probiotic Essentials on your tulips, you might want to finish this paragraph since there are certain kinds of probiotics for plants. “Manure tea”, or “poop soup” as it is known more popularly, is a special type of natural plant enhancer that can fuel flora growth! Being all natural, there is nothing stopping you from pouring this magic all over your tulips and your tomatoes. Just like us, our furry and feathery friends need a healthy gut to support their immune and digestive systems. If Fido or Fifi are having a little trouble with their bowels, it’s totally safe to give them a probiotic in their food (capsules work best) to help restore balance to their bellies. There are some companies that even have liquid probiotics specifically designed for animals! If you feel that your pet could use some balance in their tums, give it a try! Good and bad bacteria are all around us! 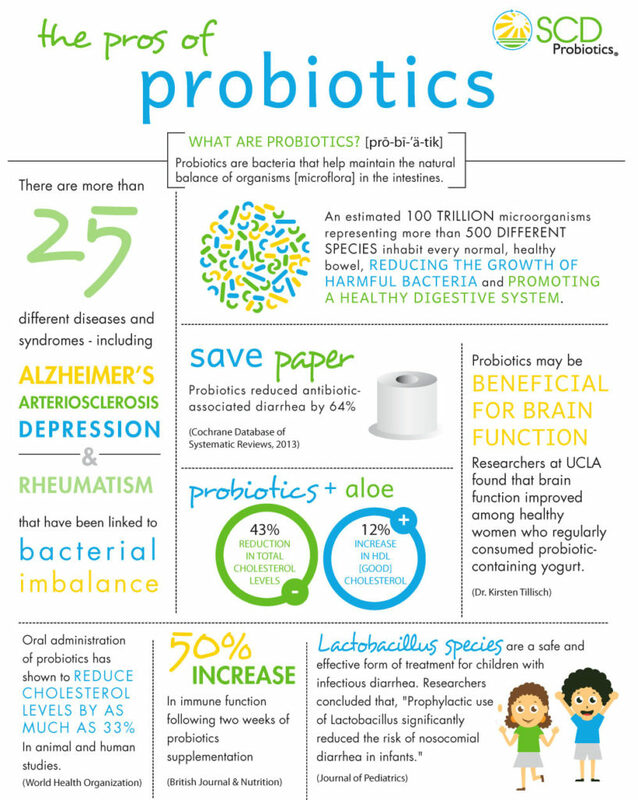 We need help, such as probiotics, to keep everything balanced and healthy. So before you reach for those harsh chemicals in the cleaning aisle, check out the probiotics section and see just how beneficial these little germs are! Smile really big! Now close your mouth. Run your tongue across the front of your teeth. What do you feel? A smooth surface? Or do you feel patches of roughness, almost like bunny slippers on your teeth? What you’re feeling is bacteria. And that bacteria accumulates due to lack of good hygiene, even if you religiously brush your teeth. It can make one a little nervous to smile now, eh? We humans aren’t the best with our teeth– we brush them quickly and with a lot of force. We tend to eat crunchy, sticky, gummy, or downright rock-hard foods that can damage our teeth enamel. Yes, we can brush our teeth and keep them looking white, but does the surface reflect the actual health of your gums? Unfortunately, the products we use to clean our teeth may actually be making them dirtier. As it turns out, most of the teeth cleaning products you are using are targeted at removing all bacteria– good and bad– leaving a lot of room for bacteria that is not targeted by the product to grow; unfortunately, the good bacteria that could battle it is the bacteria that we are killing off with harsh tooth pastes and mouth washes. So how can we replenish the good so it can fight the bad? We use these friendly little germs to combat bad germs in our microbiome, so we can totally do the same in our mouths! Some toothpastes and even mouthwashes claim to have probiotics, but since you usually rinse and spit those out, a normal probiotic supplement might be just the thing you need for a clean, healthy smile! So next time you feel those fuzzy slippers around your teeth, don’t panic! Simply brush, floss, rinse, and then take a probiotic supplement to prevent any further damages to your mouth. A healthy smile is a happy smile! “Fermented” is just one of those words. When you hear or read it, you are reminded of images and tastes that may make you get a little queasy (unless you’re a beer or pickle fan). 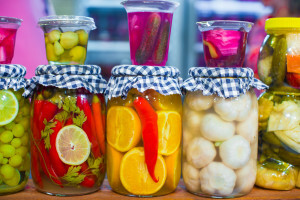 However gross or sour you may imagine these foods to be, it turns out fermented foods are pretty much the holy grail of foods, when keeping your microbiome in mind. By definition, fermentation is: “the chemical breakdown of a substance by bacteria, yeasts, or other microorganisms, typically involving effervescence and the giving off of heat.” So pretty much, it’s a type of decomposition. 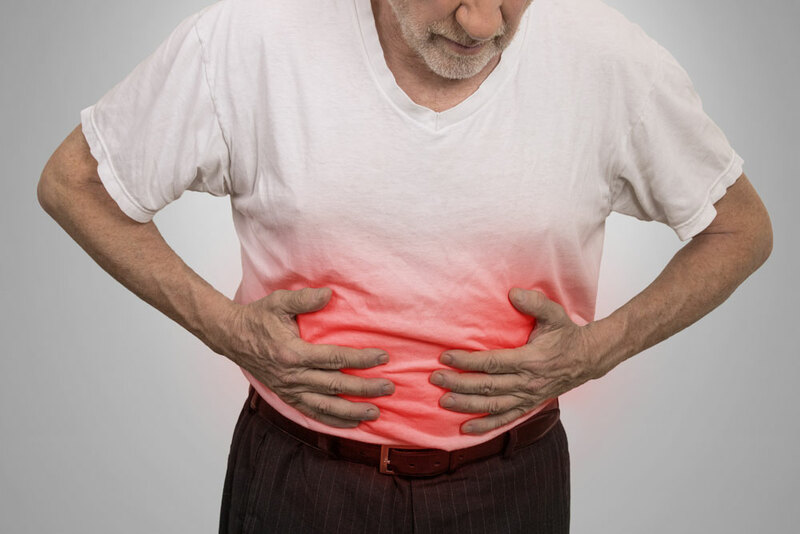 This practice originated in ancient Rome when herbalist Pliny the Elder began treating his patients’ bad stomachs with fermented milk; once people in the Renaissance era got a hold of it, it became the panacea for the population. Everyone started fermenting everything. In modern times, scientists have recognized fermented foods as a great resource for probiotics. Hence the craze. But does that make them any more appetizing? If you could never drink that liquid Tylenol or bring yourself to eat broccoli, you most likely aren’t going to start stuffing your face with richly fermented foods…. unless you find something you like! Below is a list of tasty foods that even the pickiest of eaters can enjoy! Miso: a traditional Japanese seasoning made from fermenting soybeans with salt, a fungus starter, and sometimes grains such as barley or brown rice. It’s sold as a paste that can be added to soups. Although tangy, even adding it as a spice to soups or entrees can make a huge difference! Yogurt: as long as it’s not full of sugar and preservatives, yogurt is a very good source of probiotics, being used by many physicians as a way to not only stay healthy, but a way to avoid getting yeast infections while taking antibiotics. Fermented condiments: there is now plenty of probiotic-fueled ketchup, mustard, and mayo to go around… just don’t over-do it. Most condiments contain quite a bit of sugar, so watch it! Pickle(d anything): if you love pickled eggs, pickled beets, or just pickles, then this is a great source of probiotics for you! Sauerkraut: if your parents never wanted you to try this sour stuff with some brats, did you really have a childhood? This sour yet bitter concoction is something that, if you have the taste-buds for it, you should definitely keep in stock in your cabinet. It’s a great source of probiotics– and bad breath. Trying new foods can be downright terrifying, but with the right amount of research and sense of adventure, you will be a lean, mean, fermented-food-consuming machine.